Bangkok, Chiang Mai, Mae Hong Son: "Happy New Year"
Please click on the image for photos of Bangkok, Chiang Mai, Mae Hong Son: "Happy New Year"
I am writing from Mae Hong Son, a small town in the mountains in the northwest corner of Thailand, near the border with Myanmar (Burma). Tonight is New Year's Eve and the hotel is providing a "gala dinner" and entertainment. I have also found two noisy clubs with live music, so there will be no lack of celebration. The town is fully booked with Thai people on vacation and an assortment of "farangs" -- foreigners. So far on my journey I have met travelers from Holland, Belgium, Germany, France, Italy, Japan, China, Australia, Tasmania, South Africa, Bahrain, Tel Aviv and Denver. Yesterday I had a chat with a young woman studying medicine at the University of Miami! Got your map handy? 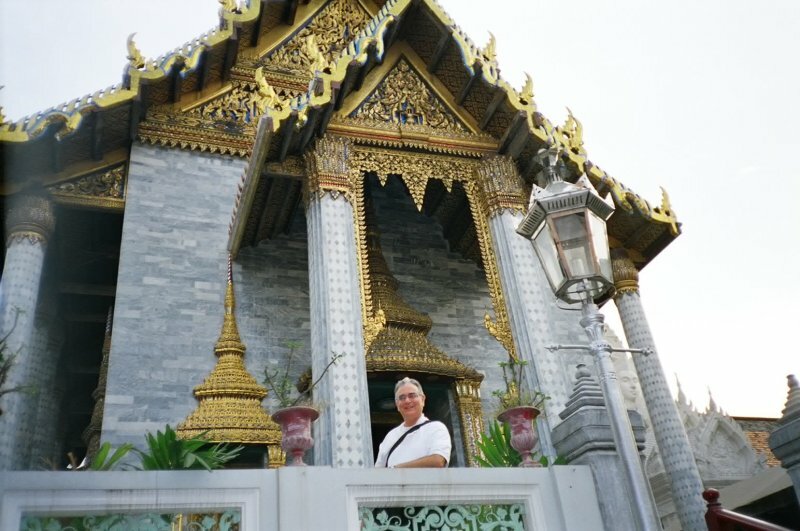 I spent the first three days in Bangkok, recovering from jet lag and visiting the obligatory sights: Ornate and colorful Wats (Buddhist temples) and the Palace grounds. The Thais love their King and the Royal Family. 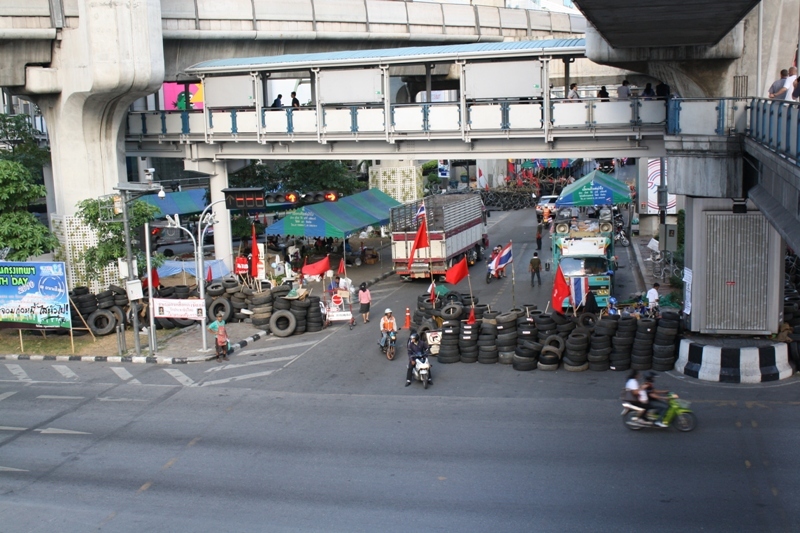 Bangkok is ultra urban with monstrous traffic and pollution, yet relatively safe and clean. On my day cruise, the skyline I viewed from the river reminded me of Chicago - dozens, maybe hundreds of skyscrapers of every style and form. Quite impressive. My friend Jeff showed me around a bit and we did some barhopping. I could not escape the street vendors so I succumbed to "Versace" and "Calvin Klein" shirts. From Bangkok, Jeff and I took the bus south to Pattaya - a great party town but just about the ugliest "resort" I have ever seen. I left quickly. Jeff continued south to Cambodia. I returned to Bangkok and flew north to Chiang Mai. In Chiang Mai I decided that "on my own" would not be appropriate so I booked a couple of tours. The best was a daylong trip including a one-hour elephant ride, a bamboo raft trip and a delicious lunch. Real touristy but lots of fun. After a couple of days in Chiang Mai I finally felt that I was in Asia. Bangkok feels much like any metropolis; Pattaya has very little "Thai" about it. In Chiang Mai, and everywhere, the people are warm, friendly, helpful and just lovely to be with. I spent quite a long time with a thoughtful travel agent who helped me with domestic flights. The hotel and restaurant staff are totally hospitable and welcoming. With just a simple "Hello" and "Thank you" and "Happy New Year" in Thai, which I have miraculously learned, I get a large smile and a giggle in return. (It must be my Bronx accent). From Chiang Mai I took a thirty-minute flight to my current location -- Mai Hong Son. I climbed a pretty good hill to a beautiful Wat on the mountaintop. The many Thai tourists performed a gentle ritual of carrying flowers three times around the temple and leaving the flowers at a spot marked with the day of their birth. I will try it myself, but do I know on which day of the week I was born? Do you? I think Wednesday for me. The ceremony is supposed to bring you "salud, dinero y amor". There is something to be said for Buddhism. Maybe it beats an hour on your knees in church or three hours in synagogue on Saturday. Well, maybe. Today I am off to see the Hill Tribes. Tomorrow I fly back to Chiang Mai, then south to Phuket and by boat to the island of Phi Phi in the Andaman Sea -- a part of the Indian Ocean. I expect to sit on the beach for a much needed rest. Finally from Phi Phi by boat to Krabi, then by plane to Bangkok, more sights to see and more street vendors to haggle with. Home on January 9-10. I recommend you put Thailand on your travel list. The people are warm, the weather at this time of the year is perfect, most lodgings are modern and the spicy food is tasty and nutritious. I haven't had a slice of bread for two weeks but I can't resist the pastries. I hope you are well and enjoying the holidays. Sawadee Pi Mai. Happy New Year.